A key to the ever-increasing strength and stability of Presida has been its ability to understand the requirements of each market, and to integrate those needs into each building. Presida's long standing success is attributed to experience gained with more than 40 years in the property development and investment sectors. Managing Director John Paini leads his team with a hands on, no nonsense approach remaining focused on a commitment to excellence in all aspects of each project from design, construction and management to marketing. The highly successful Presida team knows how to identify key business locations, and how to customise each project for optimum functionality and appeal encouraging an enthusiastic take-up. 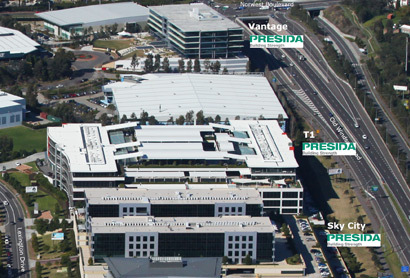 Presida's impressive portfolio includes buildings such as T1, Sky City and Vantage - at Norwest Business Park, Enterprise Park Business Estate in the Hills area, commercial buildings, industrial warehouses, civic buildings, hotels, clubs, tourist attraction and residential projects. These properties are home to over 200 companies such as Kennards Hire, Skydome, Holcim, Kincare, BBraun, Interrelate, GWA Bathrooms & Kitchens, Healthscope and Amway. As with most companies, Presida realised early on that the company’s goals are more easily accomplished when the right people are on board. To this end, the Managing Director, Mr John Paini, has been building a team of people to assist with getting the job done. The people below are the ones you will come into contact with when you deal with the company; they are one of the aspects of the public face of the company. There are more people behind the scenes, all working together to bring you the ideal property to suit your needs.